In the Star Trek universe, Starfleet vessels have registry numbers that typically begin with the prefix NX or NCC. The most famous of these is NCC-1701, the registry number of the USS Enterprise and its successors. Out-of-universe, do these registry numbers have any special significance? How were they chosen? For instance, the USS Voyager is NCC-74656. It seems uninspired at first glance. Does the particular number 74656 have any hidden (or obvious) meaning? Why did the writers or creators choose it? On the other hand, were NCC-1701 and NCC-1864 (the latter being the registry of the USS Reliant) derived from the years 1701 and 1864, respectively? For the latter, the USS Reliance served in the American Civil War (as part of the Potomac Flotilla) and was scuttled in 1863. Is there any connection? Gene Roddenberry was known to be a war buff, and Nicholas Meyer (directed of The Wrath of Khan, in which the Reliant appeared) was a fan of naval themes. Any interesting information about any registry numbers appearing in Star Trek would be great. 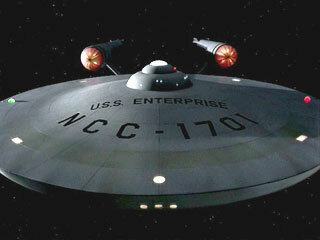 The most famous registry number, of course, is "NCC-1701" of the original USS Enterprise. It was chosen by Matt Jefferies, who was a pilot before joining the Star Trek staff, and based the registry number on 20th century aircraft registration codes. In the early 20th century, the letter "N" indicated a United States origin, and the letter "C" indicated a civilian aircraft. As American craft used NC and Soviet craft used CCCC, Jeffries combined the two as NCC. His philosophy was, "If we do anything in space, we (Americans and Russians) have to do it together." H states the numbers "1701" stand for the 17th cruiser design, serial number #1. Also, upon choosing the Enterprise's registry number, Jeffries decided that the number should be easily readable, so he was careful to avoid numbers that could be confusing, such as 3, 6 and 8. So it looks like the numbers were based on 20th century aircraft registration codes and the letters are a conglomeration of US and Soviet aircraft country-of-origin codes. It seems to be a matter of category. NCC seems to be used on standard vessels, such as Voyager, the TOS and later Enterprises, and a most other things. We saw it on every Intrepid and Galaxy class. We saw it on the Nova class starships. You name it, we generally saw it. NX seems to be used on experimental vessels. 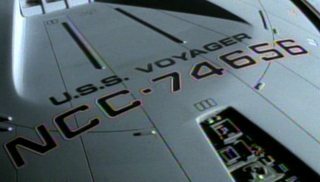 Examples: In the season finale of season 4 of Voyager, the fake vessel the crew encountered was NX-01A, which didn't surprise them at all. Furthermore, the original NX class, from the ENT era, was experimental. Only 4 vessels were planned, and these were the first vessels of this speed category, so having them as experimental "at least officially" makes sense. The numbers are the hull numbers assigned to classes and given sequentially as they are constructedU.S.S . Second off the line was U.S.S. Enterprise, Naval Construction Contract-1701. Not the answer you're looking for? Browse other questions tagged star-trek star-trek-tng star-trek-voyager star-trek-ds9 history-of or ask your own question. What's the full-form & significance of USS & ISS prefixes in name of Star Trek starships? Nacelles: if two are better than one, then why are three not better than two? What's special about the Mirror Universe? Is there a reason USS Discovery's registry number (NCC-1031) may be similar to Enterprise's (NCC-1701)?